Nigeria's Central Bank (CBN) has injected CNY 69.70 million (Chinese Yuan) in the spot and short-tenor forwards for agricultural raw materials to ease pressure on the Nigerian foreign exchange market. The monetary authority also injected $327.4 million into the inter-bank retail secondary market intervention sales on Friday. In a statement, CBN said the US dollar-denominated interventions were only for concerns in the agricultural and raw materials sectors. Isaac Okorafor, the CBN spokesperson, said the exercise was in tune with the Apex Bank’s guidelines for the payment of Renminbi-denominated letters of credit for agriculture as well as raw materials. He said the sales in the Chinese Yuan were through a combination of spot and short-tenor forwards, arising from bids received from authorized dealers. 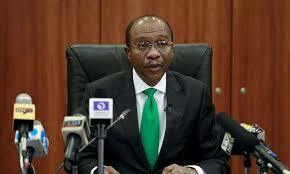 He said the availability of Renminbi was sure to ease pressure on the Nigerian foreign exchange market. The Renminbi is the official currency of the People's Republic of China. The Yuan is the basic unit of the Renminbi. In international contexts, "Chinese yuan" is widely used to refer to the Renminbi. The term is similar to that between sterling and pound, which respectively refer to the British currency and its primary unit. Okoroafor noted that the relative stability in the foreign exchange market was as a result of the intervention of the CBN as well as the sustained increase in crude oil prices in the international market. He assured that the Bank will remain committed to ensuring all the sectors of the economy continue to enjoy access to the needed foreign exchange by Nigerians. Over the weekend, the Nigerian naira depreciated to N359 to a dollar at the parallel market, it maintained gain at N361 to the dollar at Importers and Exporters Window and closed flat at the official CBN rate at N306. In the last week of July 2018, the CBN made the yuan available at the forex market and injected the CNY 69.85 million in the spot and short-tenor forwards market. A Chinese Yuan currently exchanges for N53.35.